Winner is Comment #46 - Sarah (martinmommy)!!! When I first started this blog and I Heart Fluff on Facebook, I had no idea how many wonderful people I would meet because of it. Stefanie from IttyBittyBums is no exception! So, I was super excited when she offered a giveaway for the I Heart Fluff 1000 Fans Celebration. 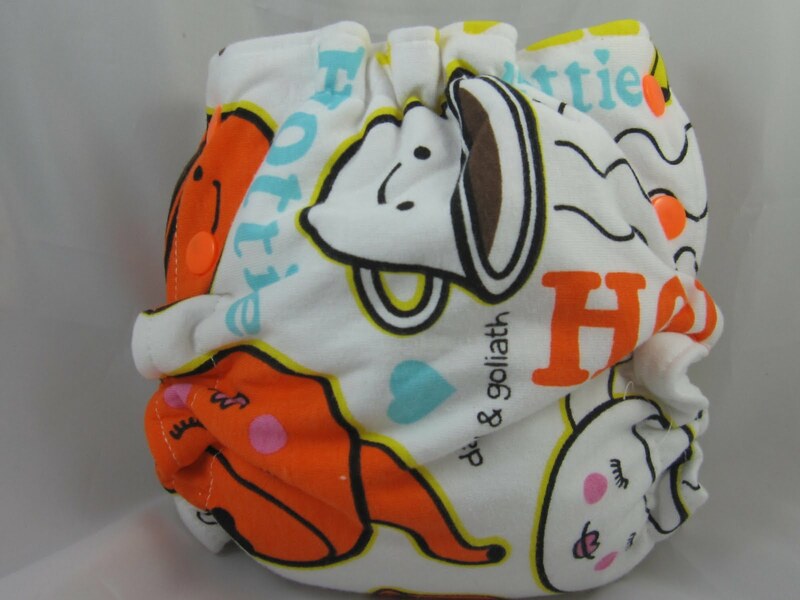 One lucky fan will win an AI2 IttyBittyBums Cloth Diaper in their choice of size and solid color! IttyBittyBums AI2 diapers are made with a PUL outer cover and a micro fleece lining to make it extra soft. There is a laundry tab for ease of washing. The super soft inserts are micro fleece with 6 layers of absorbency. Visit the IttyBittyBums website and let me know which size and color (solid colors only) you'd pick by commenting on this post. Winner is Comment #23 - Tina Gower!!! Besides super adorable hats, you can also find diaper pail liners, cloth wipes, leggings, bibs, blankets and more at Kid's Cute-Ture's Etsy Store. 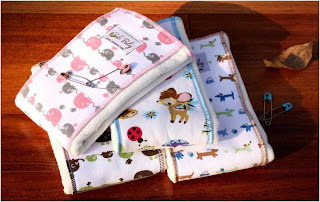 One fabulous I Heart Fluff fan actually has the chance to win a set of 10 double sided flannel wipes in their choice of boy, girl, or gender neutral colors made by Kid's Cute-Ture. One more little surprise...Elisha is offering free shipping to US and Canada in honor of her son's first birthday! (International orders will receive discounted shipping.) So, make sure to visit the Kid's Cute-Ture store and place your orders before midnight (EST) on Sunday for the free shipping. 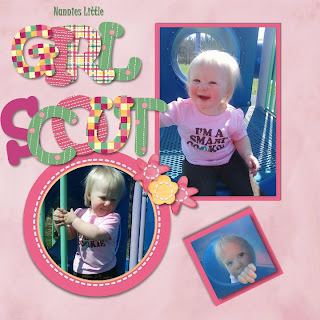 Like Kid's Cute-Ture and I Heart Fluff on Facebook. Then, just comment on this post and let me know if you'd like boy, girl, or gender neutral colors for the wipes. The giveaway ends tomorrow, August 1st at 9pm CST. Winner is Comment #7 - star84vu!! Yep, I'm a scrapbook addict too! In fact, we turned one of our basement bedrooms into a room solely dedicated to my scrabooking and crafts. Unfortunately, all I've been able to do lately is just dream about scrapbooking. 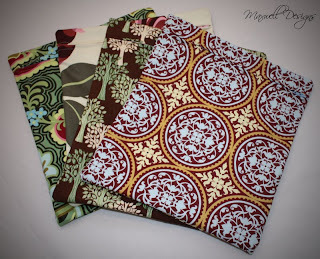 That's why I love this giveaway from Digital Memories by Sara!! No printing, cropping, cutting or taping is needed! One lucky person will win one 8x8 Twenty Page Totally Custom Hardcover Digital Scrapbook (this would use approx 40-45 photos). Themed to the winners specifications. This is an OVER $75 value!!! All the winner will have to do is provide a CD or access to a digital photo sharing account. Then Sara will work directly with the winner to meet their needs. To view more of Sara's work, you can visit the Digital Memories by Sara Facebook page or blog. Giveaway ends tomorrow, August 1st, at 12pm CST. Even when we were still using disposable diapers, before the thought of using cloth even crossed my mind, I just never saw the appeal of disposable swim diapers. I couldn't imagine being comfortable in something like that, so why would my son be comfortable in it? 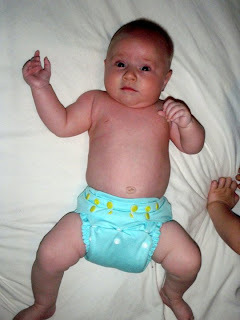 Thankfully, we found the love of cloth before we needed to use them because I have found some irresistible cloth swim diapers! 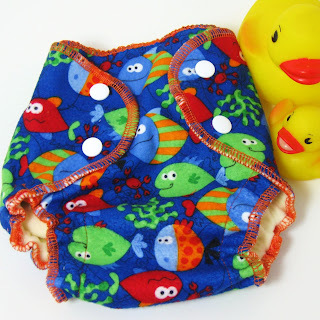 The Snappy SwimzEaze by Nifty Nappy is super cute and super soft! 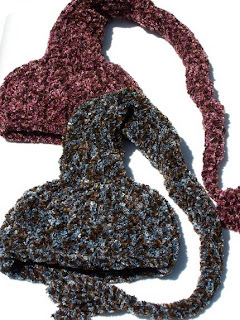 They are made with a cotton knit or flannel print on the outside with a layer of microfleece on the inside and a waterproof PUL layer in between. Nifty Nappy is offering a large Snappy SwimzEaze in this Fun Fishes print to one I Heart Fluff fan! 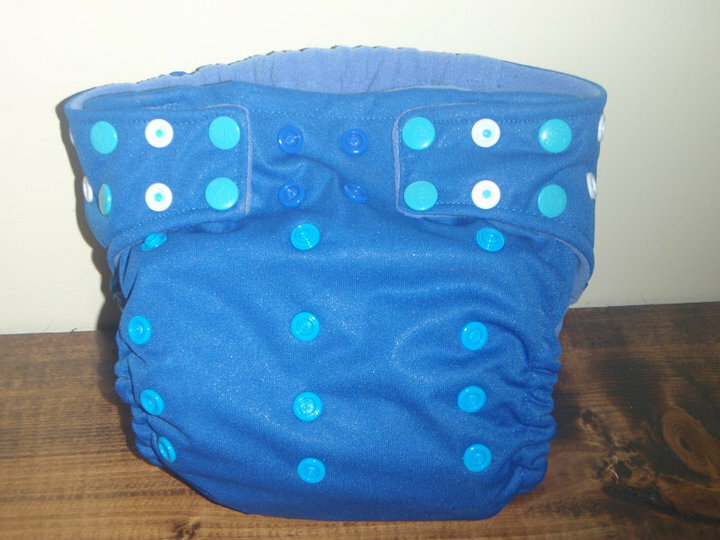 Visit the Nifty Nappy website. Giveaway ends tomorrow, July 31st, at 9pm CST. 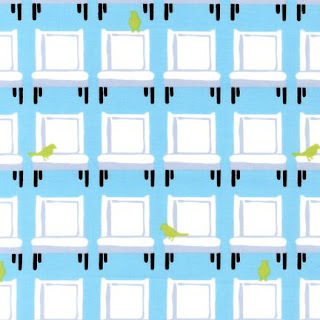 C'mon, how can you resist all of these darling prints??? Maxwell Designs is helping us celebrate by giving away a small size wet bag in a surprise print! This wet bag fits perfectly in a diaper bag and holds 2-3 large diapers with inserts and wipes. Fan Maxwell Designs and I Heart Fluff on Facebook. 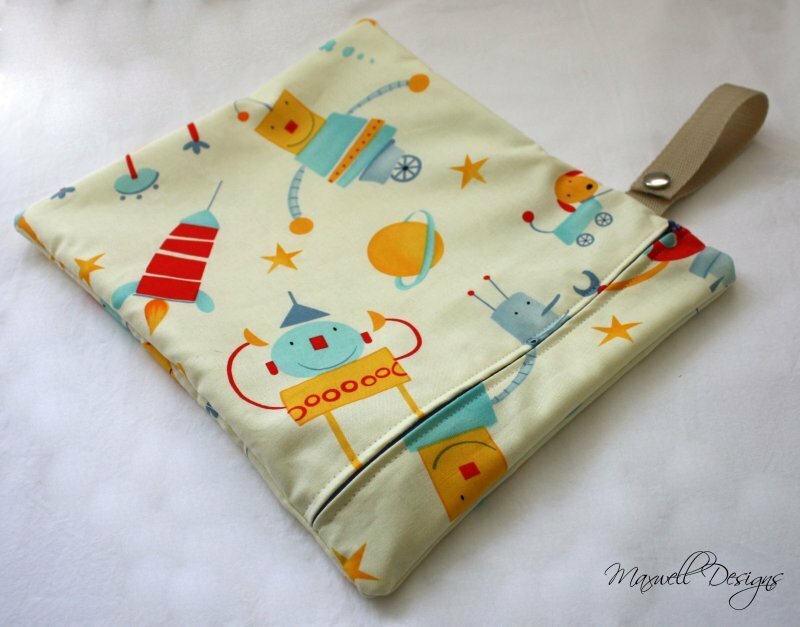 Just for fun, visit Maxwell Designs' website and let me know what your favorite wet bag print is by commenting on this post. What do you get when you combine the world of fluff with the scrumptiousness of dessert? 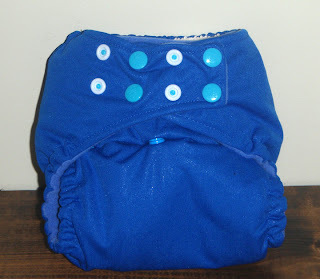 Besides two of my favorite things - you get Custom Diaper Creations!! 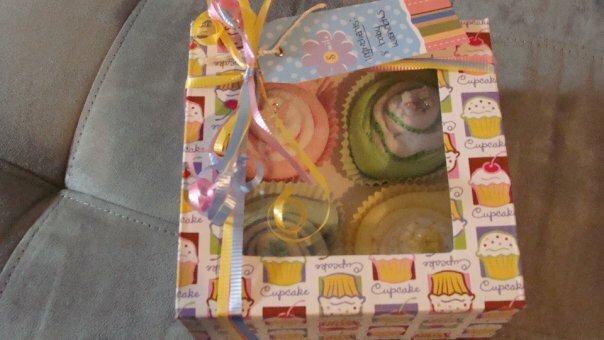 Mekayla makes some very yummy products including diaper cakes, washcloth cupcakes, towel cakes, and receiving blanket lollipops. Custom Diaper Creations is offering a set of 8 baby washcloth cupcakes for I Heart Fluff's 1000 Fans Celebration. Like Custom Diaper Creations and I Heart Fluff on Facebook. Comment on this post and let me know if you'd like boy, girl, or gender neutral colors. This giveaway ends tomorrow, July 31st, at 11am CST. While I am a lover of all things fluff, there is nothing better than getting some custom fluff mail! And, oh my goodness, I don't think it gets any cuter than custom PLUMP Diapers!! Of course, you know we're having a celebration and Kassi from PLUMP Diapers would love to help us celebrate by offering one very lucky I Heart Fluff fan the chance to win a custom PLUMP fitted diaper!!! Become a fan of PLUMP Diapers and I Heart Fluff on Facebook. Then, just comment on this post. Giveaway ends tomorrow, July 30th, at 9pm CST. Winner is Comment #89 - Katie (MomWifeMe914)!!! 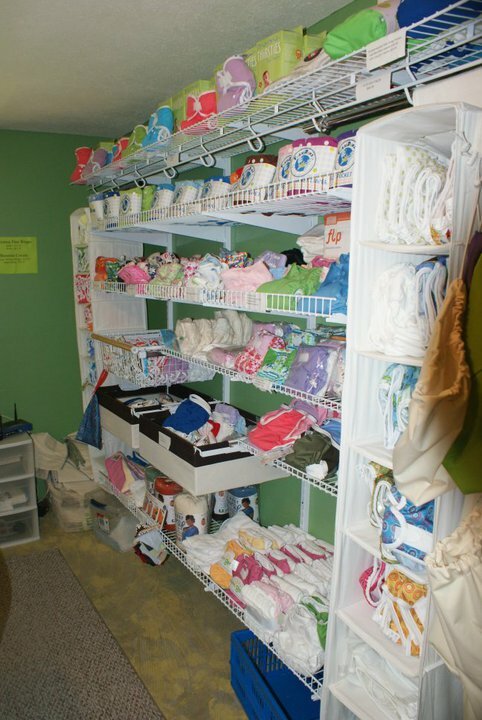 Top to Bottom Baby Boutique is an online cloth diaper retailer and an in-home store located in Omaha, Nebraska. 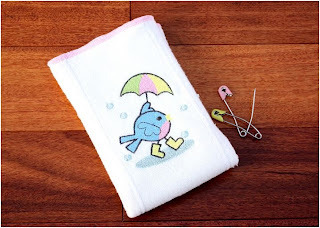 They have absolutely everything you need for cloth diapering. 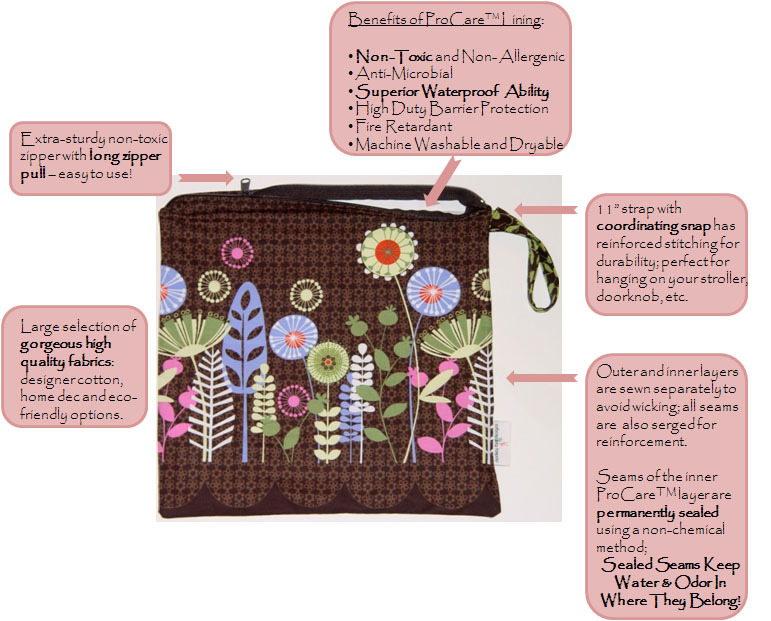 From trial packages of cloth diapers to wet bags, diaper sprayers, and wool covers - they have it! If you are a local mama, you really need to go visit their showroom! There is nothing better than being able to touch and feel all those fluffy diapers before purchasing!! Even if you're not local, you can still purchase all of their wonderful products online. Of course, Top to Bottom Baby Boutique wants to help you out with that and is offering a $20 gift certificate to one lucky I Heart Fluff fan!! 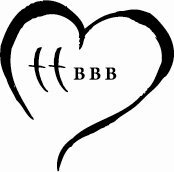 Like Top to Bottom Baby Boutique and I Heart Fluff on Facebook. Visit the Top to Bottom Baby Boutique online shop. Then, comment on this post, telling me what you would use the gift certificate for. Giveaway ends tomorrow, July 30th at 11am CST. Winner is Comment #8 - Lisa!! 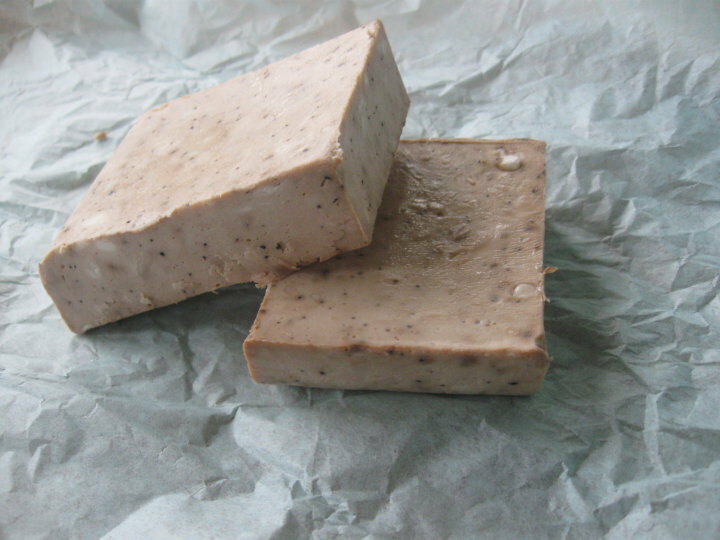 Marie's All-Natural Soap is a recently started company that offers a variety of natural soaps. Marie's soaps come in yummy fragrances like Marvelous Mint, Luscious Lemon-Orange, and Latte for Your Body. 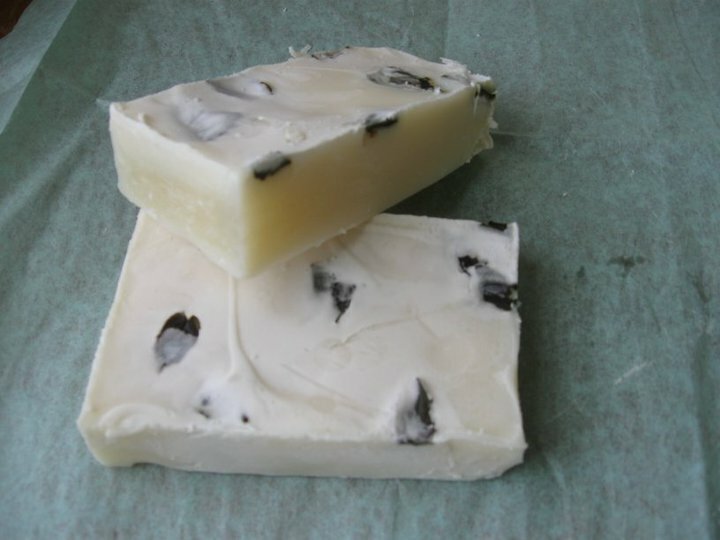 Marie's All-Natural Soap is offering one lucky I Heart Fluff fan the chance to win a bar of soap of their choice. Become a fan of Marie's All-Natural Soap and I Heart Fluff on Facebook. 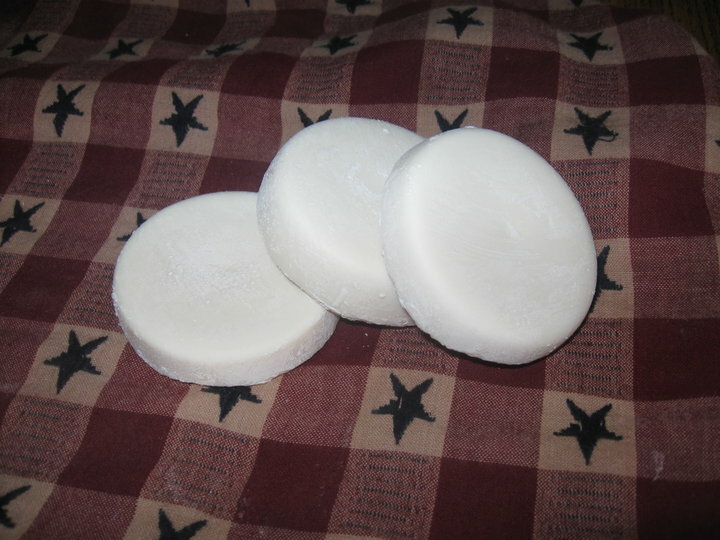 Visit Marie's All-Natural Soap's website. Let me know which soap you'd pick by commenting on this post. Giveaway ends tomorrow, July 29th, at 9pm CST. "I am a stay at home mom of 3 kids under 5 and a great stepson who taught me how to take care of them. I have cloth diapered since my 5 year old was a baby. Right now, the youngest two kids are in diapers . One is three months old, the other is two years old. I started making diapers while I was pregnant with the youngest, and now I am making diapers for her and for my two year old who is outgrowing all of his. I love it, so I want to make diapers for everyone! I have been breastfeeding for almost five years with only a few months breaks between kids, so I wanted to make nursing covers to make it easier to feed my babies on the go... I love my nursing covers because they are so much bigger than most of them I have seen, and allow more modesty and more confidence!" 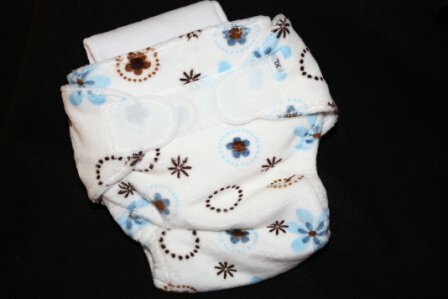 I just want to share a couple pics of our Pixie Fluff diaper so you can see how wonderful it is! I love the fact that there are more than just a couple size settings. This is truly a one size diaper that will last from newborn into the toddler years. Make sure to visit Pixie Fluff's facebook page and the Pixie Fluff store on Clothbaby.org to learn more about her products! Winner is Comment #57 - John & Kat!!! When we first started cloth diapering, I was sure I wasn't going to like prefold diapers. They just looked like too much work for me. Turns out, I actually like them and we use them quite a bit. But ours are just the plain ol' white and unbleached versions. If I had seen the embellished and embroidered prefolds from Zabi Baby, that might have just been all the diapers we would've bought. Did anyone else just say, "Awww"? Of course, I was thrilled when Glorimar from Zabi Baby offered one of her diapers as a giveaway for I Heart Fluff's 1000 Fans Celebration! Once the winner is chosen, I will put you in contact with Glorimar so you can pick out your diaper. Like Zabi Baby and I Heart Fluff on Facebook. Visit the Zabi Baby shop. 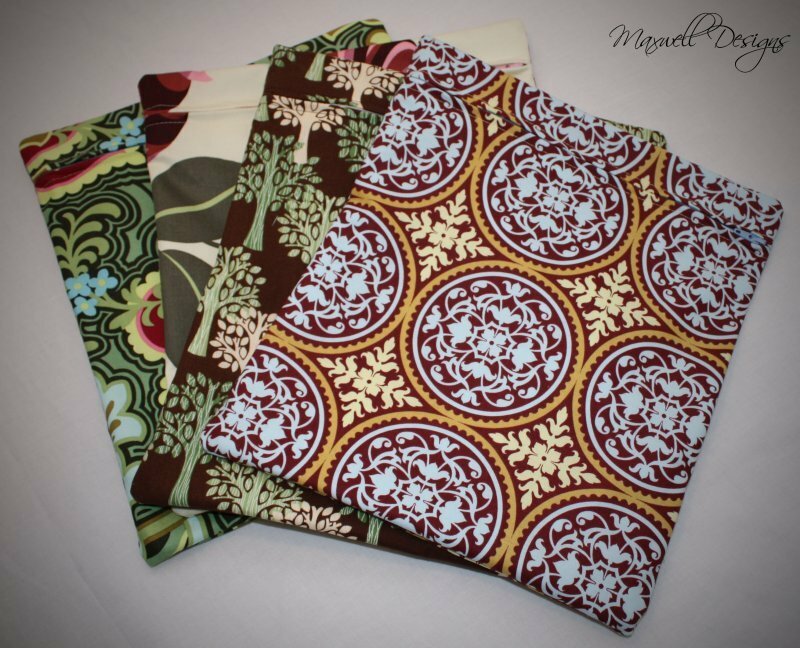 Comment on this post and tell me which embroidery or fabric option is your favorite. Giveaway ends tomorrow, July 29th, at 11am CST. 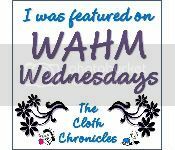 If you don't already know by now...I love WAHM diapers!! Part of it is just because, as a WAHM myself, I know all the time and effort that these moms put into their products. 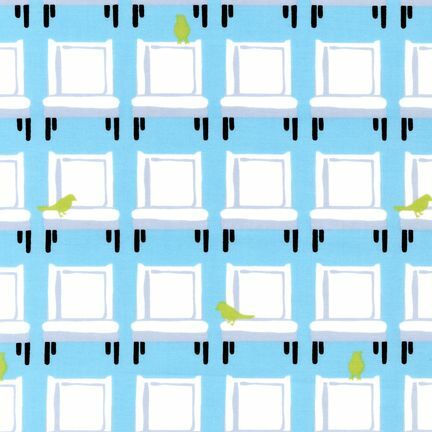 But, it's mainly because there are so many cute patterns to choose from! 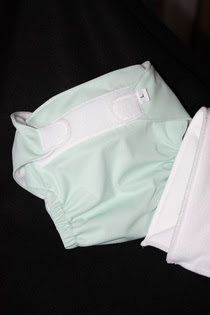 I was just recently introduced to Diaper Change Diapers and I'm sure I was drooling as I looked around their website. So, so many super cute diapers!! Lucky for you, or at least one of you :-), Diaper Change Diapers is giving away one in-stock diaper of the winner's choice in honor of I Heart Fluff's 1000 Fans Celebration!! 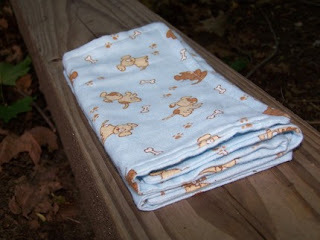 Become a fan of Diaper Change Diapers and I Heart Fluff on Facebook. 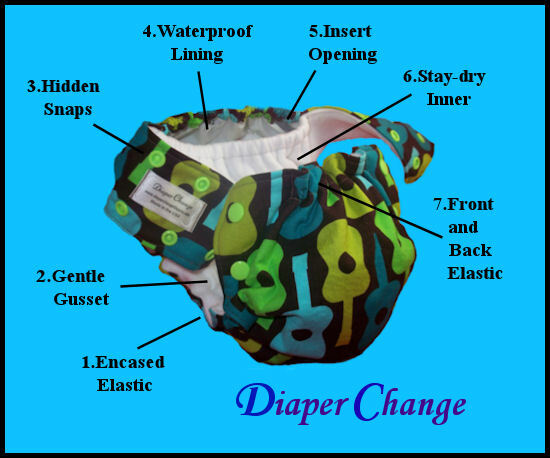 Visit the Diaper Change Diapers website and let me know which diaper you'd pick by commenting on this post. Giveaway ends tomorrow, July 28th, at 9pm CST. Winner is Comment #13 - Mommaonajourney!!! When we first ventured into the world of cloth diapers, that is literally all we had - cloth diapers. No diaper sprayer, cloth wipes, pail liners, or wet bags. 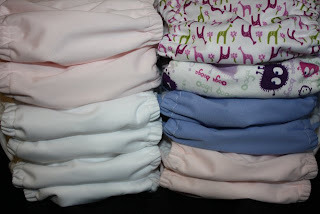 I used large ziploc bags for the dirty and wet diapers during our first few weeks of cloth diapering. Then I found Monkey Foot Designs! Oh My Gosh! It was love at first sight when I saw that hedgehog print wet bag. I've bought a few more wet bags since then, all different brands, but I have got to say that my Monkey Foot Designs bag is by far one of my favorites! 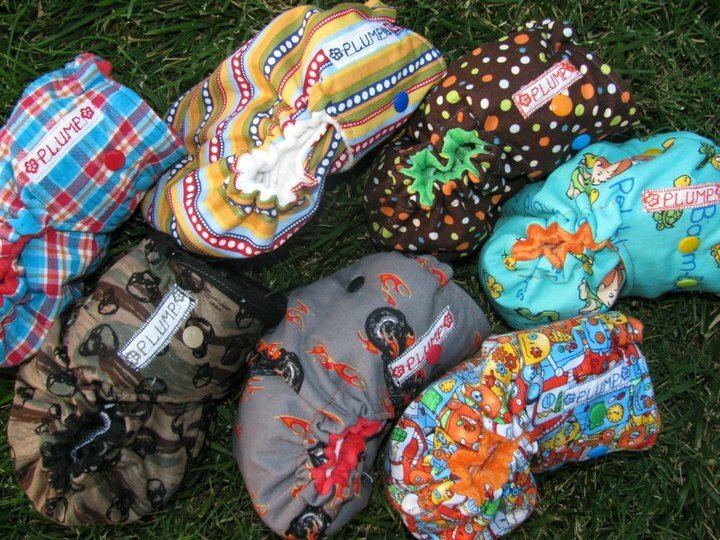 Visit Monkey Foot Designs' website and take a look at the wet bag sizes. Comment on this post letting me know what your favorite size is.